Process Xpress offers notary service in Orlando, and mobile notary service throughout Florida. Whether you’re a law firm, real estate title agency, financial institution, small car dealership, or an individual in need of notary services, we’ll come to your home, office, or other location and get your work notarized quickly and correctly. 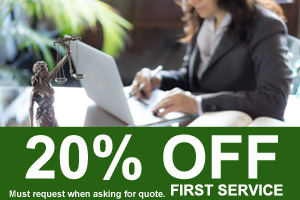 Notary Services for Law Offices – When you’ve scheduled depositions or mediation, or you’ve got clients coming in to sign documents that require notarized acknowledgement, you’ll appreciate our reliable legal notary services and reasonable rates. Marriage Services – In Florida, notary service includes performing legal marriage ceremonies. Schedule a mobile notary from Process Xpress to solemnize your marriage in Orlando or anywhere else in the state. Real Estate Notary Services – Our notaries are well experienced in handling real estate closing documents, so they’ll help you get through closing meetings as efficiently as possible. Certification of Safety Deposit Box Contents – When financial institutions are in the unfortunate position of having to seize the contents of a safety deposit box for non-payment, the presence of a notary at the opening is required by law. Our confidential mobile notary services include witnessing box openings, and completing the required inventory and certification. VIN Verification & Vehicle Title Transfer Affidavits – For certain used car title transfers, you may need a notary to witness a signed statement that the odometer reading is correct, and verify the VIN number of the vehicle. We make it easy by sending the notary to the vehicle’s location promptly, at a fair price. 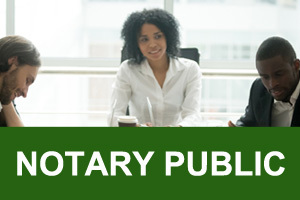 Businesses and individuals have depended on the prompt and reliable notary services of Process Xpress since 1999. We deliver top-shelf service at affordable rates to help our clients manage their documentation workflow efficiently. Contact us to schedule Orlando notary service or mobile notary service anywhere in Florida. What is the zip code where the documents are being served? © 2018 - Process Xpress has been providing professional process service, skip tracing, document retrieval, legal document delivery and notary services since 1999. Our reputation is built on reliable and cost-effective service, carried out to the letter of the law in every state. Our clients include law firms, property managers, mortgage lenders and debt collectors who depend on our high success rate, even in the most challenging situations.